Give your skin care routine a new makeover with Cotton Buds regular (Pack Of 200). These soft and hygienic GUBB USA cotton buds feature dual tip cotton swabs, which make them an ideal product for your beauty kit. They are made of sterilized fabric which make them a must buy. 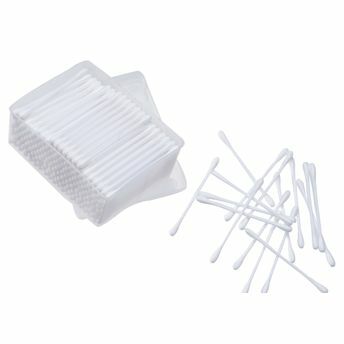 These cotton buds are available in a pack of 24 pcs. and 200 pcs. These buds are great for cleaning and drying ears of infants to avoid various infections. Additional Information: GUBB USA, the international grooming range from "U", is a renowned name in the field of personal skin care items and brings quality products at affordable rates. Cotton Buds regular (Pack Of 200) cleanses your skin without being harsh.